Erbiwa sees itself not only as a specialist for back injection moulds, but also as a think tank for design-oriented high-tech surfaces and components. 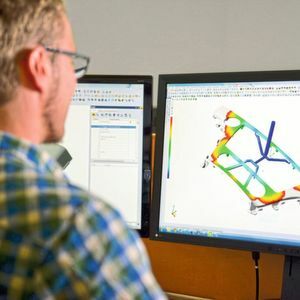 Since its foundation 13 years ago, the Allgäu-based company has relied on Visi for 3D CAD and filling simulation - and recently also for milling. Double-digit growth rates testify to the fact that Erbiwa has done just about everything right in its relatively young company history. 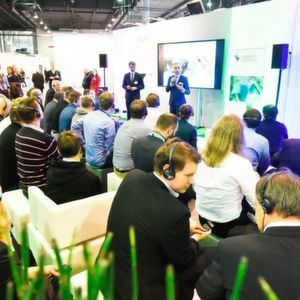 Founded in 2005 in Röthenbach, Germany, it is now based in neighbouring Lindenberg and has developed from a design office for injection moulds to a group of companies with 136 employees. Fifty-five of them are employed at Erbiwa Mould Industrial alone, the joint-venture subsidiary in Dongguan, China, founded in 2015 together with a co-operation partner. Erbiwa LLC was founded in the USA in 2007. Erbiwa currently focuses primarily on the automotive sector. In toolmaking, the core competence of the Allgäu-based company lies in back injection moulds weighing up to seven tons for components in vehicle interiors, which can also include support in article development. The surfaces to be back-moulded are stainless steel, aluminium, wood or carbon. In addition, there are two-component tools, among others with slide gate technology (without rotary plate), gas and water injection technology (GID / WID), stamping and forming tools for aluminium, wood or stainless steel panels and tools for downstream processes for further surface finishing. Series production of plastic parts began back in 2008, for which Erbiwa Tech is responsible. The focus is on visible and decorative parts for the automotive sector, such as wheel hub covers or back-injected decorative trim panels, which are usually injection-moulded in medium batch sizes between 5,000 and 50,000 units. Erbiwa pursues the strategy of acting as a full-range supplier to the customer in toolmaking through the consistent integration of partners, while at the same time keeping the vertical range of manufacture low. With this goal in mind, the first projects with a nearby company specialised in the development and production of decorative aluminium parts for the automotive industry were initiated soon after the company was founded. At this company, aluminium shells were for the first time directly back-injected, which made previous gluing or crimping processes unnecessary. The demand for injection moulds therefore increased strongly and the company was looking for a strong partner in this area. Together, they grew rapidly and entered the vehicle interior and decor sector, which is now the focus of Erbiwa's activities. 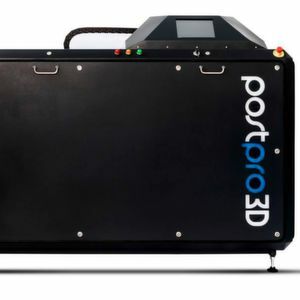 Discover 3D printing like never before! At Erbiwa, all parts and components of a tool are supplied, at least until recently: Mould bases, hot runner systems and standard parts are obtained from suppliers such as Meusburger, Hasco and Knarr. Moulding areas such as cavities, cores or sliders are manufactured by local partners – and since 2013 also by the Chinese joint-venture subsidiary, Erbiwa Mould Industrial. For small parts, however, the process is multi-track, which also has to do with tools for further surface finishing, manufactured at the Allgäu site. Two newly acquired 3-axis machining centres, which are also integrated into the Visi workflow with the Visi Machining CAM module, are evidence of this. With various modules, Visi is installed on a total of eleven workstations, supplemented by six licenses for the Visi Viewer. In both CAD and CAM, Visi modelling forms the basis in the 3D area, which is supplemented by task-specific modules. At Erbiwa's design area, this module is Visi Mould, which enables largely automated mould construction around the finished mould inserts. Erbiwa sees itself as a think tank with a focus on design, project management, assembly and prototyping. The company's philosophy is to be able to offer tailor-made complete solutions in the field of plastics via a network of specialists wherever the customers are active. These mainly come from the automotive industry, which is why the company has its own locations in the USA and China. However, the company's roots lie in the Allgäu region. Since its foundation in 2005, the Lindenberg-based company has focused not only on project management but also on the construction of injection moulds. After Erbiwa's automotive customers repeatedly expressed the wish that the company should also be present in Asia and above all in China, company founder Ernst Wagner finally found a toolmaking and injection moulding specialist who seemed to fit exactly into the planned activities in China. The two-year co-operation was so successful that in 2015 a joint venture was founded, Erbiwa Mould Industrial. Today, Erbiwa obtains almost all individually manufactured parts from the Chinese joint-venture subsidiary, from which the finished mould is then assembled for domestic customers in Allgäu. Erbiwa Mould Industrial supplies the Chinese market – this also applies to German customers active there – with tools directly. The people of Erbiwa are advocates of direct design, which works very well with Visi. Matthias Wagner, who used to design tools with other well-known – parametrically structured – CAD systems, is particularly enthusiastic about the simplicity that Visi offers. For example, it often happens in everyday life that an employee of the design department, which has a total of eight employees, has completely finished the tool design and later colleagues make adjustments or changes. It would not be so easy to get started with parametric design data. The other colleagues would first have to understand the philosophy with which the tool was built, since everyone has their own style and proceeds somewhat differently. Even the simplest changes would then take a lot of time. With Visi, on the other hand, this is very simple, uncomplicated and without any loss of quality. At Erbiwa, Visi parametrics are mainly used for the simulation of motion sequences. In Lindenberg, for example, the movements of the inclined slides are simulated: Can the parts be demoulded without problems or is there a danger of collision with the component or with other tool components? With Visi, this can be displayed steplessly over the entire stroke, so to speak. At Erbiwa, the Visi Flow module has been ensuring for ten years that the parts to be produced have optimum rheological properties. All phases of the injection moulding process that take place in the mould are analysed by FEM (Finite Element Method) filling simulation during the design process. This works very well in everyday life, because the simulation is started directly from the 3D-CAD of Visi. This allows the company to easily view gating concepts and filling behaviour, compare them with each other and quickly see whether, for example, temperature or air problems occur. If required, the module can also be used for distortion calculations. The good import functions that Visi provides in the form of various interfaces are also of particular importance in everyday design work. This is considered very important in Lindenberg, both for customer data and for co-operation with Chinese colleagues. All CAD data is exchanged here via Parasolid. The background is that Erbiwa Mould Industrial designs with Siemens NX. In some cases, designs are now also being created in China, which are then modified in Germany. Erbiwa has not only gained very good experience with this, but it also runs absolutely smoothly via Visi's Parasolid interface.